The Walking Dead franchise has met a sudden boom in the past few years. The original comic book became an instant favourite for many graphic novel enthusiasts and AMC’s television adaptation has not failed to deliver on The Walking Dead’s stellar reputation. 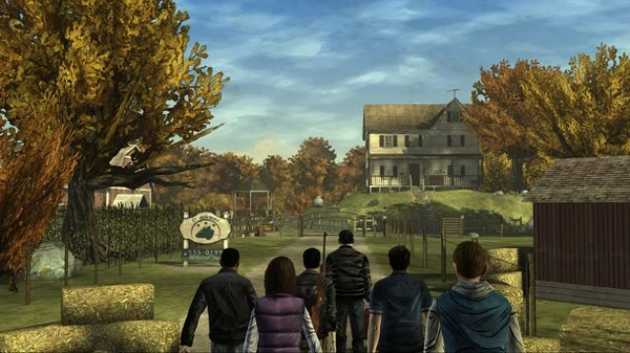 The next step for the franchise has been Telltale Games’ efforts to bring the story into the next generation of gaming. At first I was cautious of the choice of game developer; their version of Jurassic Park for the console was less than inspiring. I was becoming increasingly concerned after they announced that the graphics for the game would be based on the original comic artwork. This move could have proven risky though had gone well for other developers, such as 2K’s Borderlands. But, once I had seen the first screen shot, I knew that this game had the potential to be something special. One of my favourite aspects of the game is the way it’s being released. The game is currently being offered via Xbox LIVE Arcade, PSN and through Steam, episodically. Telltale wished for the game to be played and viewed with the same sort of feelings that consumers get with the comic and television series. The episodes are released once every couple months, on average, and this method keeps the player wanting more. It’s not often that players have to wait a month to continue the next chapter of their game and though some may find this annoying, I personally find it refreshing. It makes me appreciate the game more than if it had been released all in one chunk. I quite often find myself rushing through some epic story based games just so that I can reach the end and witness the conclusion of the tale. But The Walking Dead game makes you wait for the next experience and I often find myself counting down the days until I could get my hands on the next intense installment. The gameplay itself is very user friendly, giving the player full control of the main character, Lee Everett, as he travels on a set course through the zombie infested state of Georgia. The left analogue stick moves the character whilst the right analogue stick is used for directing Lee’s attention. A, as pretty much always, is the action button whilst the others are reserved for decision making during the occasional cut scenes. It’s really that simple. Neither complicated combos nor precision shooting, just point then click. Combat is button-bashing based, though this doesn’t take away from the story or the suspense of the game. You’ll grapple with zombies, people, the elements and anything else apocalyptic Georgia has to throw at you in miniature cut scenes that flow seamlessly with the rest of the story. The game mixes the very best aspects of a television show with the choice based game play of an epic RPG. During my playthrough, I would sometimes forget that I’m even controlling Lee as he tries to survive the apocalypse. The most impressive aspect of the game is the story and this is what keeps bringing me back for more. I found myself giving the first episode, “A New Day”, three playthroughs making different decisions on the way. Once I had completed the second episode, “Starved for Help”, with four playthroughs, I had no choice but go back to the first and play my way through both episodes tailoring my decisions to create my favourite outcome. The story is driven by your decisions, each decision shaping the arc of the story in very subtle ways, though some were more obvious than others. A choice in episode one might come back to bite you in episode two. And, with the options of saving multiple play throughs, friends in one save file might be enemies in another. 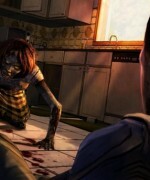 Robert Kirkman, the creator of The Walking Dead, along with Telltale, wished for the game to focus more on the story and characterization than other typical zombie games such as Left 4 Dead. This is exactly what The Walking Dead game delivers. You will grow attached to the characters, worrying for the safety of the young girl, Clementine, who Lee has become a surrogate guardian to. You will worry about the choices you have made, and some may even plague your conscience as you continue the journey through each episode. Telltale Games has created a new type of game, a hybrid of television and gaming with the untidy charm of a painstakingly drawn graphic novel. They’ve capitalised on how Kirkman moulded the graphic novel and how AMC adapted the television show and created something truly unique for the next gen gamer. 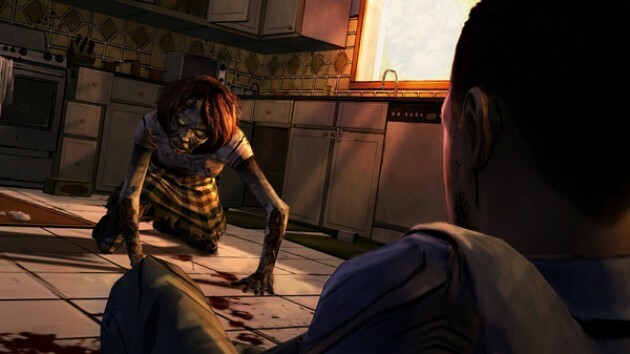 If you love story based game play then you will love Telltale’s The Walking Dead. If you take pleasure in watching a story develop through the decisions that you have made, then this is the game for you. If you’re looking for an all-kills-all-spills zombie slayer then this is just not that game. It doesn’t offer the fast paced, high-octane buzz of killing the hoards of zombies in Left 4 Dead or the sandbox beauty of the Island of Banoi in Dead Island. This game gives you an intense story and the suspense of waiting for the next monthly installment. It offers the ideal story for the next generation of gamer and I personally can’t wait to play on. Wow!! Awesome review! I myself have only played the demo for the first episode. I’ll have to check it out again! Thanks man. You should definitely check out the full game. Really brings me back to the old Monkey Island days. Just with a lot more shoving screwdrivers in zombie’s eyes and much less buried treasure. Ha! Now there’s a reference I never thought I’d hear again! Episode 3’s just been released on the PSN and XBOX Live. If you’re not playing it yet you should be! Though I’d suggest starting from Episode 1, otherwise you’ll have no idea why everyone hates you! Man thanks to Playstation Plus I was able to try out the first two episodes. I was not disappointed in the least and have since purchased episode 3 which imo is better then the first two combined. I guess I am a bad person though as I often find my self choosing the options that a majority of people don’t. Such a great feature to have in a game btw. I kinda thought that about Episode 3 as well. 1 and 2 were epic, but things just plain ol’ got real during the course of ep. 3. Some really hard decisions to make in that. great review… I’ve purchased the game @ the aop store to be disappointed with the ‘need wifi to dowload.’ so i just went to youtube to watch em. The most awesome yet frustrating thing is nobodys story is the same the choices they make are their own and also the concequences of their choices… So i had to follow one youtubes account to watch the whole 3 episodes unravel before me. 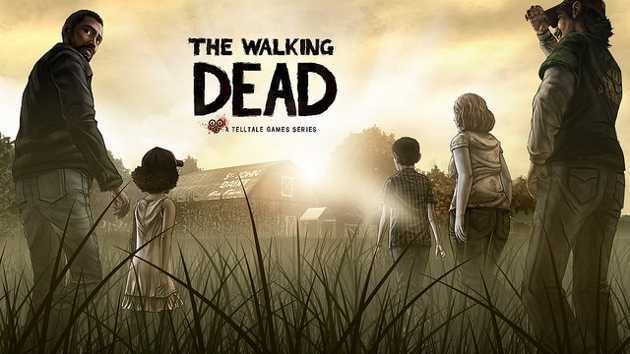 the game plays abit different but that wont sway this TWD comic fan not one bit… Love it absolutely love TWD.